We know you want to give your little ones interesting and nutritious meals at dinner time, but sometimes coming up with new ideas can be a challenge. That’s why we’ve teamed up with Tilda to help you get creative in the kitchen. 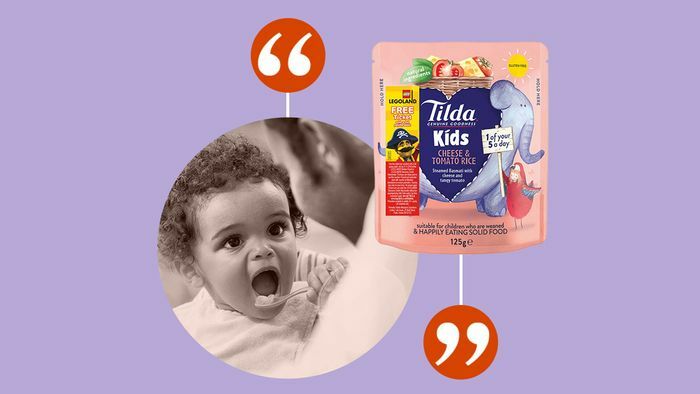 We’re giving 25 parents the chance to become one of our product testers and try out and review Tilda Kids rice. Add a pack of Tilda Kids to any meal to give your toddler one of their five-a-day. In four exciting flavours, each pack is gluten free and dairy free (excluding the cheese and tomato variant) and suitable for children who are weaned and happily eating solid food. All you need to do is squeeze the pouch, tear it open and pop it in the microwave or heat in a pan. If you have a child aged 12 months+, we’d love you to be involved. If you’re selected to be part of our testing panel, we’ll send you all four variants of Tilda Kids rice to try out and add to your little one’s meal. All you need to do is try it out and let us know how you get on – if you need some recipe inspiration, check out these suggestions from Tilda. Plus, don’t forget that when you buy any Tilda Kids rice pack, you can get a free ticket LEGOLAND or LEGOLAND Discovery Centre Manchester (with the purchase of a full-priced adult ticket, subject to availability). If you’re interested in joining our Tilda Kids testing panel, simply fill out the form below before 11.59pm on 12 August 2018. Please complete every field. Please note we will be in touch by email with those who have been selected to participate and give you more information. Please note: if picked, you would need to be willing to send us a photo of yourself and your little one as well as the meal you create.